Recently HTML5 hit the game industry with many interesting advancement and upgrade that improve the whole scenario. The HTML5 Game Development could replace flash as an outstanding design platform. HTML5 backs a mature position in the technological ecosystem. And provide a worthy and better alternative in the gaming sector. Recently, HTML5 game development holds its reputation when it comes to designing platform, with its cross-browser & cross-platform compatibility. What distinguished it from its counterparts - dynamic update feature imparts lightyears of advantages. No denial that HTML5 offers vast versatility, ensuring new prospects to the online games leaving behind flash technology (earlier there was the heavy dependency on this technology for online game development) far behind. Many companies are adopting HTML5 game development platform for online Casino Game and other online game because it is very flexible, dynamic and effective. 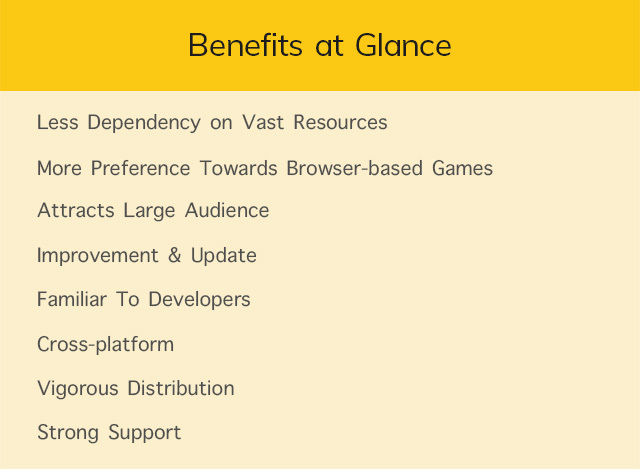 Well, the most important striking element of HTML5 game development is less dependency on resources. This means a game developer having expertise in their field can create good game employing this platform. Moreover, the game based on HTML5 pose flexibility to run multiple platforms as long the platform understand this markup language. As far WebGL is concerned - HTML5 games are a great option for games built on complex technology. Here are the points that confirm that HTML5 is the future of the gaming industry? As game development in HTML5 does not demand vast resources - this is one of the major perks. It is quite obvious that the users are loving Browser based games more, thus, investing in the same direction can profit idea for the future. The games that need to be installed on desktop or phone are too heavy as take up too much space. This reduces down the speed of operation. In contradiction, browser-based games’ only limitation is the slow internet connection. Flash games limit the support to iOS devices and require a separate application to run on other, however, HTML5 games can open and run on any platform (including Linux). Thus, HTML5 browser-based games entice more players with fewer efforts. Further, it’s cross-browser and cross-platform development congeniality and a powerful update feature makes it a great option. The Open source ensures new opportunities for improvement and innovation. This means that the user can modify the code as per the advancing requirement. HTML5 technology constantly works on improving and developing, in comparison to flash. Additionally, this platform is search engine friendly because the information on the page is listed by search engines. To create a game for only for iOS and Android, two languages used are Objective C and Java. However, using HTML5, apart from iOS and Android game, it provides much more broad landscape, covering all major mobile and desktop browsers, and add Facebook. The game apps build on HTML5 does not require any specific permission from the app store and play store. Further, it makes the update process faster as no extra requirements are needed. Network connection all that is required to use them. HTML5 game development - being launched by companies like Google, Facebook, and Apple, it owes strong support from the market leaders. Thus, the HTML5 stay is definite and expected to gain more support over time. Today, all the major browser vendors consider HTML5 as the biggest market prospect. The main feature of HTML is universal compatibility. Thus, HTML5 is slowly achieving the realm being device agnostic. 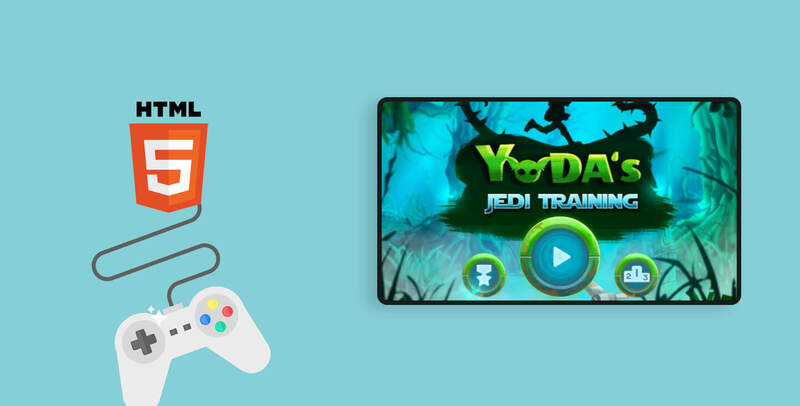 HTML5 games are compatible on the tablet, desktop or any mobile platform and the animation and graphic remain unchanged, irrespective of play on PC, tablet or mobile device. HTML5 allows modern technology game development. This makes it popular among the contemporary game app developers. Currently, HTML5 is perfect and it is positively the best thing in the game and Sports App Development right now. It will definitely be a star of the technological ecosystem in the coming future as the browsers are heading its way to get better and better, making HTML5 the future of gaming on touch devices.